Dataweave - CherryPy vs Sanic: Which Python API Framework is Faster? It is essential to evaluate API frameworks depending on the demands of your tech platforms and your objectives. At DataWeave, we assess them based on their speed and their ability to support high concurrency. So far, we’ve been using CherryPy, a widely used framework, which has served us well. An easy to use API framework, Cherrypy does not require complex customizations, runs out of the box, and supports concurrency. At DataWeave, we rely on CherryPy to access configurations, serve data to and from different datastores, and deliver customized insights to our customers. So far, this framework has displayed very impressive performance. However, a couple of months ago, we were in the process of migrating to python 3 (from python 2), opening doors to a new API framework written exclusively for python 3 — Sanic. Sanic uses the same framework that libuv uses, and hence is a good contender for being fast. 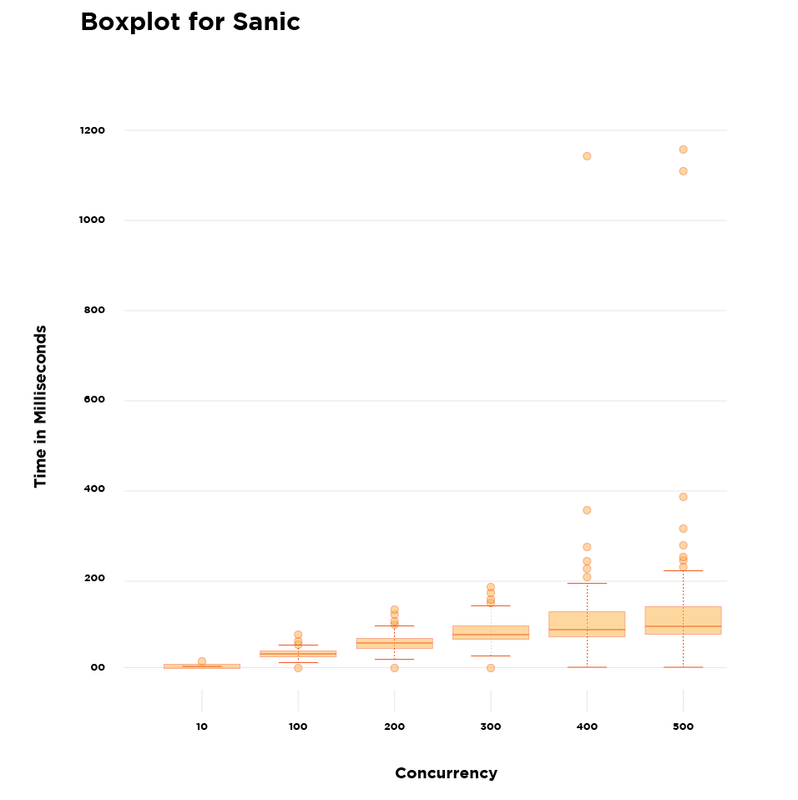 In fact, Sanic is reported to be one of the fastest API frameworks in the world today, and uses the same event handler framework as nodejs, which is known to serve fast APIs. More information on Sanic can be found here. So we asked ourselves, should we move from CherryPy to Sanic? Before jumping on the hype bandwagon, we looked to first benchmark Sanic with CherryPy. Benchmark CherryPy and Sanic to process 500 concurrent requests, at a rate of 3500 requests per second. Machine configuration: 4 VCPUs/ 8GB RAM. Payload size: All requests are POST requests with 2.1KB of payload. When the concurrency is as low as 10, there is not much difference between the performance of the two API frameworks. However, as the concurrency increases, Sanic’s performance becomes more predictable, and the API framework functions with lower response times. 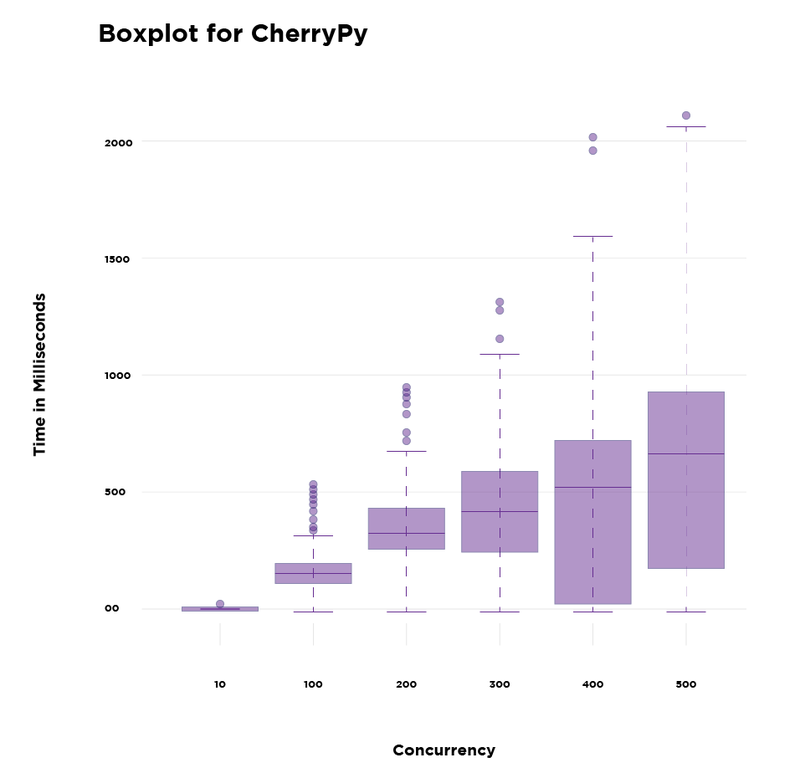 Number of non-2xx responses increased for CherryPy with increase in concurrency. In contrast, number of failed requests in Sanic were below 10, even at high concurrency values. Sanic clearly outperformed CherryPy, and was much faster, while supporting higher concurrency and requests per second, and displaying significantly lower failure rates. Following these results, we transitioned to Sanic for ingesting high volume data into our datastores, and started seeing much faster and reliable performance. We now aggregate much larger volumes of data from the Web, at faster rates. Of course, as mentioned earlier in the article, it is important to evaluate your API framework based on the nuances of your setup and its relevant objectives. In our setup, Sanic definitely seems to perform better than CherryPy. If you’re curious to know more about DataWeave’s technology platform, check out our website, and if you wish to join our team, check out our jobs page!